With "middle class" I am refering to binoculars costing between 350 and 900 Euro/USD. The quality level ranges from inacceptable to reference class (e.g. Swarovski Habicht 8x30 for 800 Euro). Which middle class 8x30/32/33s are really worth their price? This will not be a simultaneous review, but a continuing exploration, starting with Nikon HG-L 8x32, Nikon 8x30 E2, and DDOptics EDX 8x30 (Kite Lynx). Zeiss Terra 8x32 will follow as the most promising example of a plethora of Chinese glass. The Leica Ultravid 8x32 HD Plus and the Swarovski Habicht 8x30 will be references of what is possible in roof and porro designs. The paradox I see so far at least for the above 500 Euro/USD glasses: For many people who occasionally want to use a small binocular these are already too expensive. For those expecting an exciting view that is comfortable enough for longer observation periods, they will rarely be good enough. Maybe upper middle class binos like the Zeiss Conquest 8x32, Minox HG 8x33 or Kowa Genesis 8x33 could be a solution. How do they compare to the Leica Ultravid 8x32 HD Plus? Hands down most 8x42s offer a better viewing comfort, because the placement of the exit pupil is less critical than in the 8x32s. Having used the Habicht 8x30 as my main glass for a couple of years now, I used to advocate 8x30/32s but I started to question this opinion. I´m quite shocked to find out that 8x30/32 roof prism designs tend to have a view that feels much more tunnellike than in their porro counterparts. This is part of a question that is haunting me since a while now - numerical field of view and the way I perceive it are two very different things. So far I am not happy with what I am seeing in many middle class 8x32s. Falling from the lofty, mainly sunny heights of reviewing the best 8x42s and hitting the hard ground again is no fun. This is one of the many glasses that by reading the specifications already looks too good to be true and makes you wonder why you should ever be happy with less (field of view in this case). Full although short review here. DDOptics is a German company which aims to offer good quality without wasting money on branding and I was impressed by some of their big hunting glasses with AK prisms. This model (590 Euro) seems to be almost identical to the Kite Lynx 8x30. 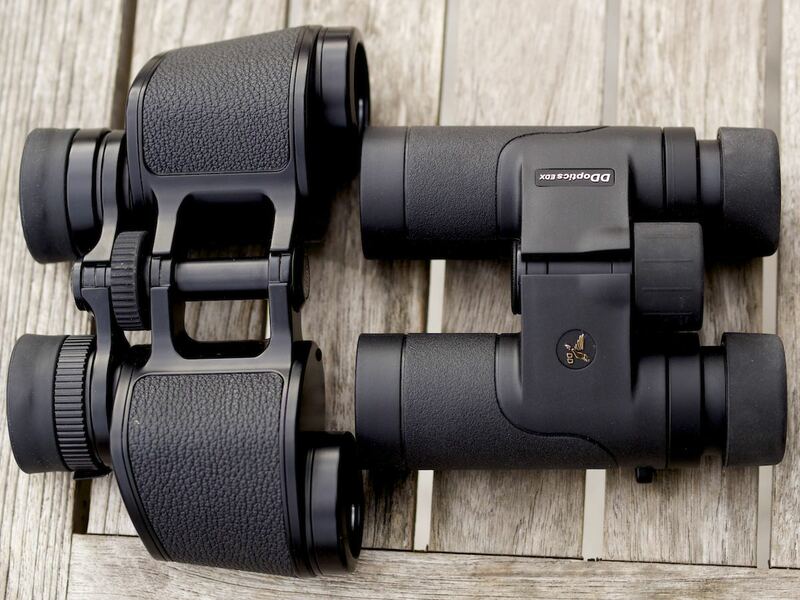 It´s a pocket binocular with pushed specifications that doesn´t really deliver what I would expect for the price, and the view is definitely not comfortable enough for serious use. The Kowa Genesis line has a reputation for being ambitious designs offering top performance for middle class prices (in this case around 899 Euro), most notably state-of-the-art low chromatic aberration compensation. As I´m a big fan of Japanese excellence, I was very curious. Unfortunately, the sample I got should never have left the factory, it was a real lemon. These things do happen, although I never had this kind of total failure in this price class. Center performance was weak and the meagre sharpness extremely quickly vanished completely towards the edges. Moreover - and this is a recurrent problem in 8x32s - I saw a lot of flaring. Colours looked very beautiful though, showing the use of fine low dispersion glass and good coatings, and the body had a very nice quality feel. I hope to review a fully functional sample in the future. 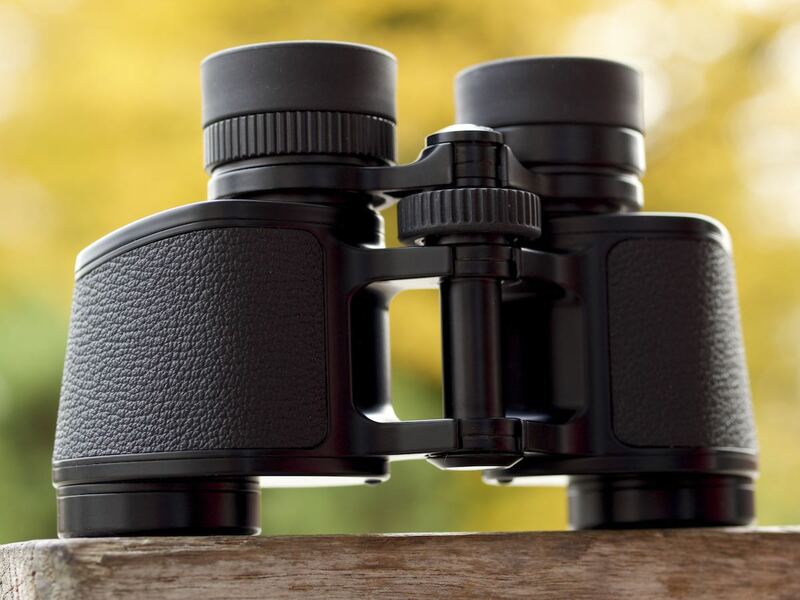 Among binocular fans this is a legendary glass, and it is easy to see why. I have yet to come across a better (let alone useful wider) view for 499 Euro. Full review here. 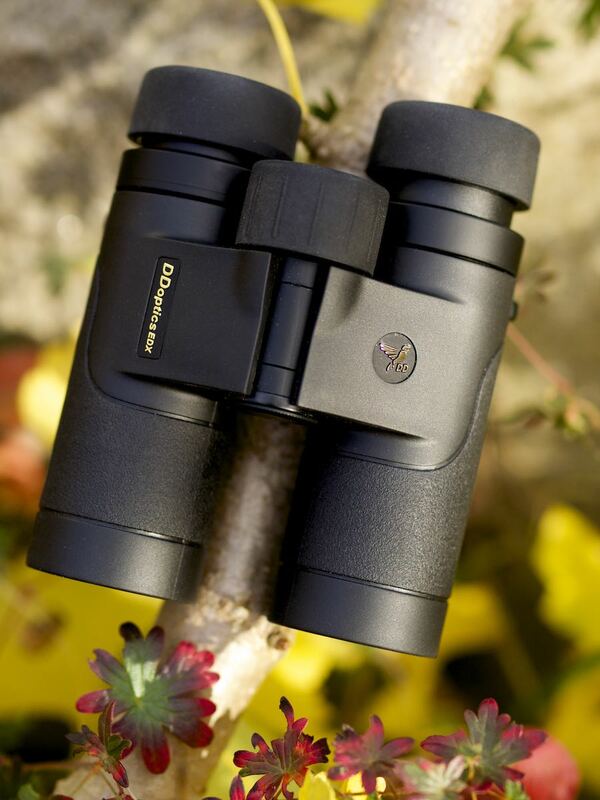 Unfortunately the E2 is not waterproof, and I do miss the chrystal clear image, sharpness and total ease of view a premium binocular as the Swarovski Habicht 8x30 yields for 750 Euro, but maybe that is just asking for too much, or my sample is a bit underaverage. The now discontinued Nikon 8x32 SE was really excellent but cost 70% more. I would love Nikon to upgrade this glass to higher transmission, a slightly more neutral colour, and to lesser production tolerances, just as in the SE, so we can - bang! - enjoy that great view of a Habicht and Nikon SE again. 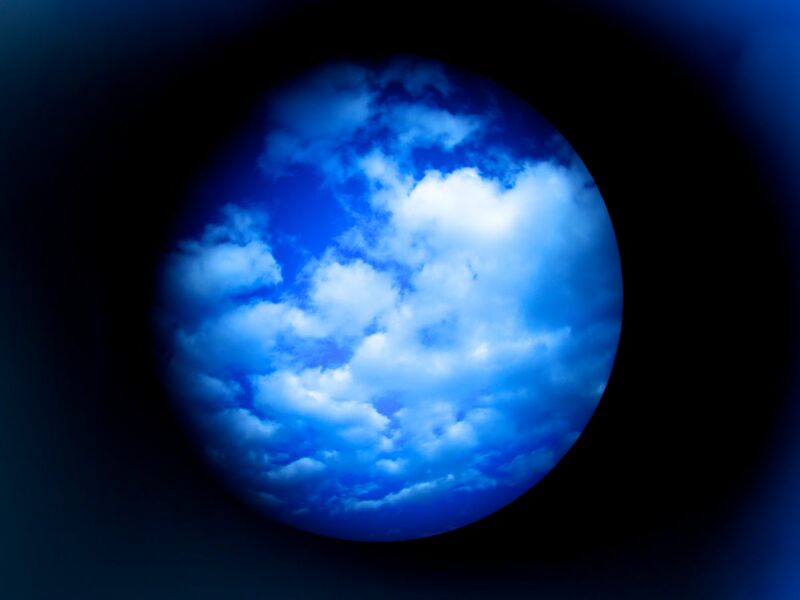 People buying medium class porros today will generally appreciate optical excellence and might well be willing to pay a bit more to really get it. I decided not to review this glass because it has way too many peripheral flares and veiling glare and only mediocre sharpness to be of much use, especially given the price tag of 650 Euro. Mechanically it seems to be a solid glass though. This used to be Nikons High End line before the fabulous EDGs were introduced in 2008 and 2010 (Europe), but looks outdated by now. 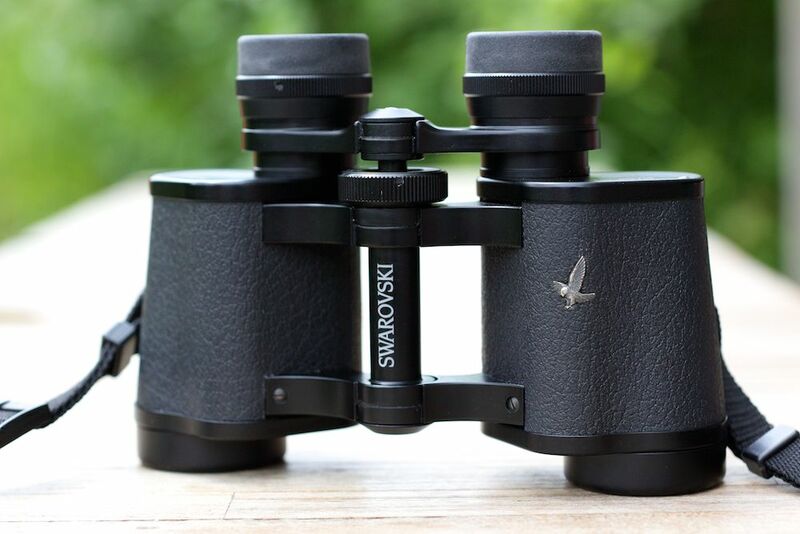 Prisms are silver coated, so the images are very warm and quite dark compared to more modern binoculars. It might well be that sharpnesswise I got a weak sample, but the flare problem will surely remain. I would love to see Nikon updating this line to compete with the likes of a Zeiss Conquest. The fact that they haven´t might suggest that this market segment is not very interesting to them, because people spending that amount of money would rather spend more and get the real thing. There is a confusing amount of Nikon models in the price range below the HG-L. This stunning mindblowing most beautiful (put in your own superlatives here: ...) Austrian wonderglass has two faults: Spectacle wearers are severly discriminated against, because they will not really enjoy the view, and, you may already suspect it, flaring. Otherwise this is an alltime favourite, on axis performance is reference class. There is simply no other way to get such an optical marvel in an indestructible housing with 30 years guarantee for 800 Euro. Full review here. Review soon, I expect a demo sample. I have high hopes for this one, as only a porro could offer superb performance for 360 Euro. I had bought a cheaper version of this design, the Opticron 8x32 GA, but that sample was not good. The colour and flare suppression were very promising though.